The award winning anamgram game that will drive you bananas!! 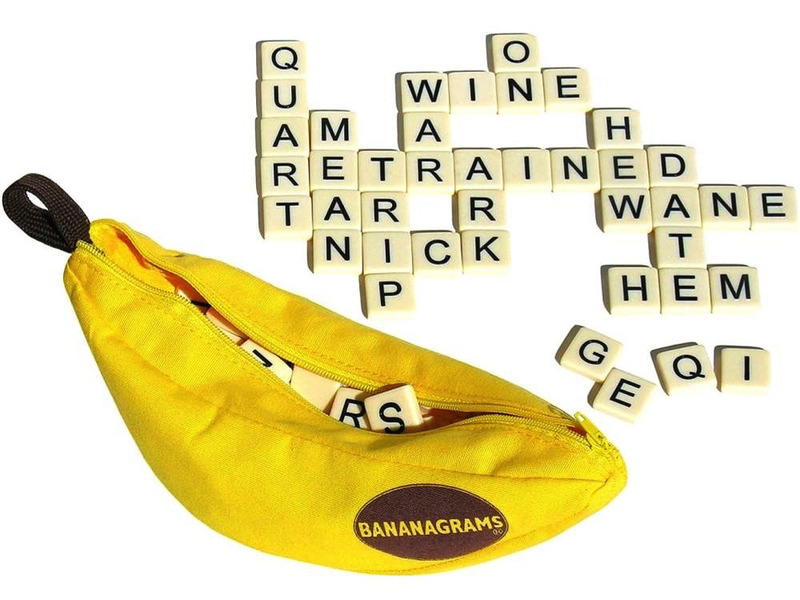 Bananagrams is a fast and fun word game that requires no pencil, paper or board. All you need is a table. One hand can be played in as little as five minutes. It is a great for family fun as well as being educational. Bananagrams portability makes it perfect for travel. Just grab the pouch and go. In this unique word game, players use tiles to create words crossword-style. The first player to use all their tiles is the winner. With multiple ways to play, this game is perfect for beginning spellers, as well as more advanced players. Ages 7 & up.